I met Yatra in Alto Paraiso, a small town in Brazil. She’s a shamaness with a temple in the jungle. Her kids have big dub label that she records on. Alto Paraiso is magic & so is Yatra. 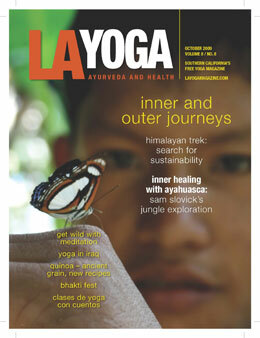 I did a story about her for LA Yoga magazine. Alto Paraiso is that place that you never want to leave and can’t wait to get back to. It’s a vortex; The Brazilan Capital of the Third Millennium. The latitude 14, which crosses Machu Picchu, in Peru, also crosses Alto Paraíso, that and the fact it’s lives on huge crystal beds accounts for the fact that UFO’s are everywhere. IF ALTO PARASIO (ALTO PARAÍSO DE GOIÁS) were a Monarchy, Yatra would be Queen.But it’s not. It’s a small town in northeastern Goiás state in Brazil that’s home to about 7,000. It’s one of those places you wish you’d never left and can’t wait to go back to. It’s magic. The people are beautiful, the music is everywhere. Wandering through Alto Parasio (high paradise) to meet the Brazilian shamaness, Yatra, is an endeavor in time suspension. The high priestess is taking me to visit her jungle temple, but exactly when doesn’t seem to matter as I linger in this heaven in the highlands.Walking the sleepy main street in the morning sun along latitude 14, which crosses Machu Picchu, in Peru, and aligns the two with a supernatural legacy, I can’t seem to put my finger on anything that was cause for concern back in Los Angeles. Small shops and stray dogs open their eyes as school children make their way through to school on foot. There’s no police force here. They don’t need one. The only customer in an empty café, the girl behind the counter, gives me a to go espresso then refuses my money…smiles and says something in Portuguese that I recognize to mean have a nice day. This place happens in an alternate universe. Dreams its own dream in a super-energized geology positioned on luminous crystal beds in the earth that makes it one of the most visible places on the planet from outer space.